When it comes time to choosing a heartworm medication for your furry companion, you will want to make sure you’re giving them the very best. If you’re feeling overwhelmed by choice or don’t know where to start, here are a number of factors that can help you choose the right product for your pet. Unfortunately, heartworms are not the only parasite that might affect your pet. And so many owners find it more convenient and cost effective to choose a heartworm preventative option that also treats other parasites. 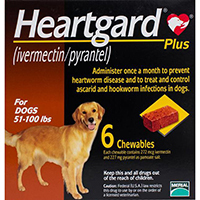 In fact, most of the heartworm preventatives available, including Heartgard Plus, also treat other worms. For the treatment of both internal and external parasites, some of the most popular brands include Advantage Multi or Revolution, which also treat fleas and intestinal worms and mites.The parasites you medicate your dog or cat for will depend on a number of factors, including the region you live in and your pet’s lifestyle. Be aware that while combination or broad-spectrum medications will prevent and treat a number of parasites, there is currently no ‘all in one’ medication that will eliminate all parasites.For an overview of the top brands and the parasites they treat, you can view our easy to use treatment comparison chart. The majority of heartworm medication comes as either a topical/spot-on application or an oral application, and each method comes with its advantages or disadvantages. Oral medications, which can be tablets or chews, are a convenient and mess free way of administering medication. Chews are usually highly palatable and can be given to your pet as a treat. Tablets can be crushed and added to food as part of your pet’s normal feeding. The downside to oral medications is that some pets will refuse to take them, and they may also be spat up or vomited without the owner realizing. 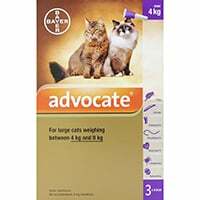 Topical medications, also known as spot-on medications, are a great option for fussy pets who refuse to take oral preventatives. The problem with topical treatments however, is that your pet will need to be kept away from other animals or children while the treatment dries, and may not be able to bathe or swim for 2 days after treatment. It is also possible to get a longer lasting preventative as an injection, which only needs to be given every 6 or 12 months. 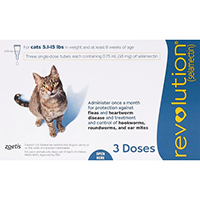 These injections are not available in every country, and are for dogs only -they cannot be given to cats. Before starting your dog or cat on any new medication or health care routine, we always recommend that you speak to your vet. A vet will be able to alert you if your dog or cat has any risk factors particular to their breed, size or age, and can also advise you of the potential side effects of any heartworm preventative. With heartworm disease in particular, you will need to visit the vet to have your pet tested and cleared for existing heartworm before starting any preventative medication.